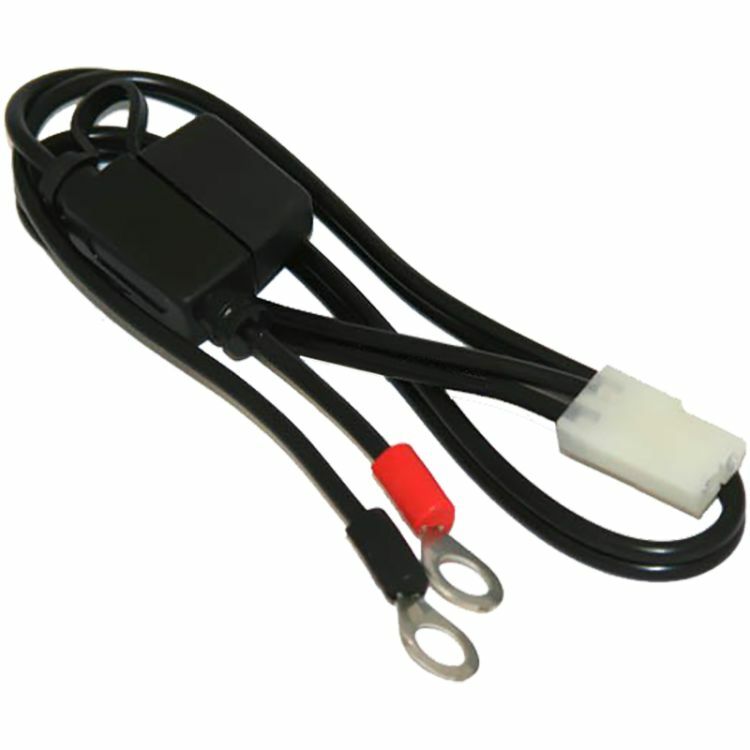 This accessory is specifically for the Battery Tender Plus 6 Volt First Generation Charger. It is not compatible with the current versions being sold. Verify your quick disconnect prior to purchasing. The 081-0069-1 cable set comes with a white Molex connector, which is not compatible with the 2 prong SAE quick disconnect that is common for most 12 volt chargers. The cable also has an inline fuse on the positive ring cable. Use this ring cable as a replacement connector or as an extra set to leave prenatally installed on more than one application. The ring cable is 18" long. Do you own the 081-0069-1? Please, tell us what you think about it. It helps us provide you with better products. Please note that it may take up to 72 hours for your review to appear. Pros: The main reason I found the Battery Stuff website, and I'm glad that I did was that they were the only site that I found to have the correct components for my old battery tender. I will always check the Battery Stuff website for my needs in the future. Shipping was reasonable as well.